Our objective for the sifting has always been the maximum separation of the liquid fraction from the solid fraction. To achieve this goal we have taken two different routes. With flocculants (see Separation with Flocculants) or mechanically, without adding any other product. For the latter, we have designed three separation groups. 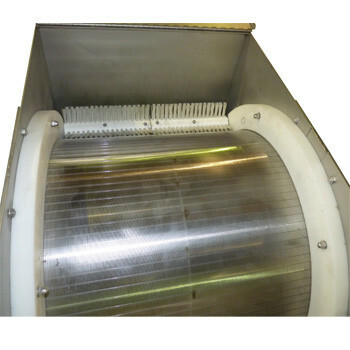 Rotating Filters or Rota-filters, with which we obtain high performance of up to con 250 microns. Any finer and the cost of the separator with the electric energy consumed is no longer profitable. Vibrating Sifters up to100 microns. Less than this size the performance becomes so low that the machines are no longer viable. Lamellar sifting we use to separate heavy solids in suspension which are present in the residual water and that hinder the posterior treatment. We can pass the resultant liquid through a separation of up to 100 microns, if afterwards an aerobic digestion has been carried out, which enables us to join particles and we can further clean this fraction of hard-wearing solids, stripping, inverse osmosis, etc. Especially suitable for roughed slurries. Interior cleaning system using mobile parts which prevent solid particles from obstructing the mesh. 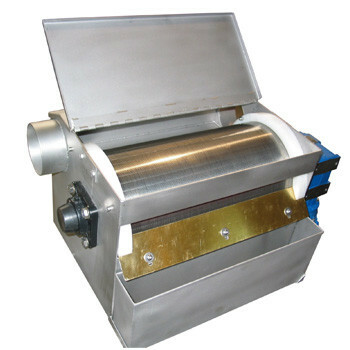 •Ideal for a second roughing once the solid fraction is separated from the liquid; liquid is passed through the sieve increasing the degree of cleanliness of the liquid. 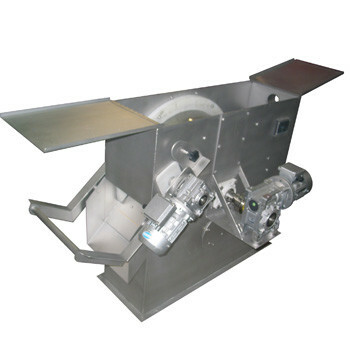 Designed with the minimum space to be able to decanter the maximum heavy and semi-heavy particles. The equipment is ideal for minimum consumption and maximum performance. Dimensions according to needs.